equipment, chemicals, and accessories, you can also count on us for professional pool maintenance, testing, repairs, and servicing. Book your professional pool service with us today. To get the best out of your pool, you need to make sure the water is healthy and hygienic at all times. 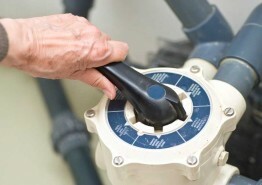 We offer water analysis as part of our pool services. Residents can bring a water sample into one of our six Poolmart stores in Baldivis, Rockingham, Leeming, Mandurah, and Success for a FREE computerised water analysis. You can also use our convenient mobile pool maintenance service. Our pool professionals are waiting for your call and can arrange for a pool technician to test and service your pool onsite in a matter of hours. Poolmart has been providing professional pool and spa services in the Perth, Rockingham are, and the Mandurah regions of Western Australia for over 12 years. We employ qualified pool technicians who take great pride in their workmanship. Our knowledgeable staff work hard to keep your pool clean and safe all year round. Our highly-trained pool technicians have many years of pool maintenance industry experience, and have access to all the equipment and chemicals necessary to clean your pool. Did you know that too many chemicals or too few chemicals could seriously damage or shorten the lifespan of your pool and its equipment? Our testing equipment has been designed and calibrated specifically for Australian conditions to ensure the accuracy of every test. We’ll diagnose the health of your pool water with fast, accurate information and provide you with a detailed report. 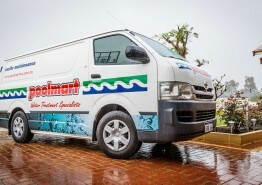 Available in Perth, Rockingham & Mandurah, Poolmart is WA’s pool water testing specialist. 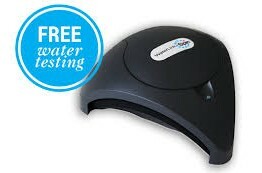 We use the latest water testing equipment and computer software to analyse your water. Contact us to find out how we can help you improve the health of your swimming pool. Contact any one of our Poolmart branches today to book your swimming pool maintenance appointment with one of our pool repairs and servicing experts.